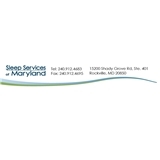 Sleep Services of Maryland (Rockville) - Book Appointment Online! Our mission is to increase awareness of sleep disorders and provide comprehensive high quality care in the field of sleep medicine. With over 20 years of experience we focus on patient outcome and delivering the highest care possible. YOU CAN FILL OUT THE PATIENT FORM BEFORE YOU GET TO OUR LOBBY. Please, add your insurance information if you have changed it or if you are a new patient. We offer complete diagnostics and treatment services for all sleep disorders. Working together we can restore your energy and vitality to let you enjoy life. We make comfort, quality, and convenience our first order of priority.